Member of the Month - Ben Dooley! What some of you had to say about Ben! "I had the honor of being on Ben’s team in last years In House comp and he was a perfect teammate. He did 100 double unders in a row TWICE during a wod, rowed hard for 15 minutes straight, and was happy to do anything to help the team. That is why his name is engraved for all eternity on the plaque next to the water cooler. Seriously though. Always an inspiration for me, especially if he is my partner in a WOD. Hard worker with tremendous skills and the detrmination to get it all done. This is well deserved. Subversus (there I said it) needs people like Ben to show the way. "Glad to see Ben Dooley finally honored as member of the month...after he has campaigned for it for so long!! That’s all the guy talks about!! Ben personifies quiet excellence. He’s definitely not an attention seeker but his scores often makes jaws drop. Watching him do 100 unbroken double unders followed by 20 unbroken overhead squats during this years open was the most impressive thing I’ve seen in a while. You won’t hear him complaining about a wod, the length of the warmup, or the temperature in the gym. He just puts his nose to the grindstone and gets his work done. He’s someone all of us in the over 40 set aspire to emulate. Congratulations Ben. I work for Comcast with their Video Services team. My focus is on developing new apps for the X1 set-top box, particularly related to Music and Games. My latest goal is to make sure I stay fit enough to keep up with my daughter. 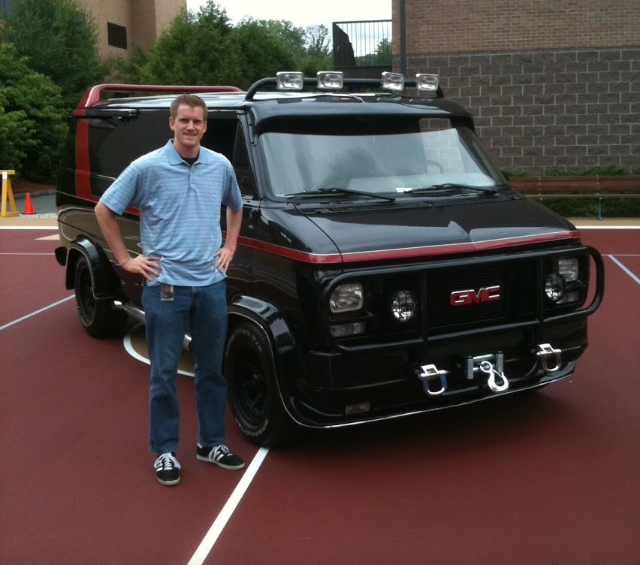 My favorite celebrity sighting while working for ESPN was the A-Team Van. I love it when plan comes together. Well done Ben!! Keep up the awesome work! Member of the Month - Nick "Mr. 225" Shafer! Member of the Month - Lauren "LCal" Callaghan!